My first published fiction, a short story called The Last Dragon, appeared in 2002. I love writing short stories and you can check some of them out for free here. My first published novel, The Farmer Needs A Wife was released in 2009. Since then I’ve written another eight books set in the Australian outback – and one Royal Wedding romance, because who doesn’t love a royal wedding. My Coorah Creek series has won or been shortlisted for awards in the UK, USA and Australia – which just goes to show we really do write for an international audience. 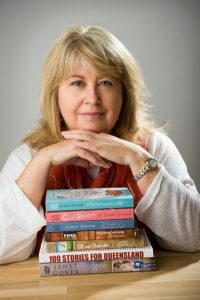 Check out my website www.janetgover.com for more about me and my books. You can follow me on twitter @janet_gover or find me on facebook.com/janetgoverbooks.